We get one step closer to the top of the "interpreter proficiency" pyramid. 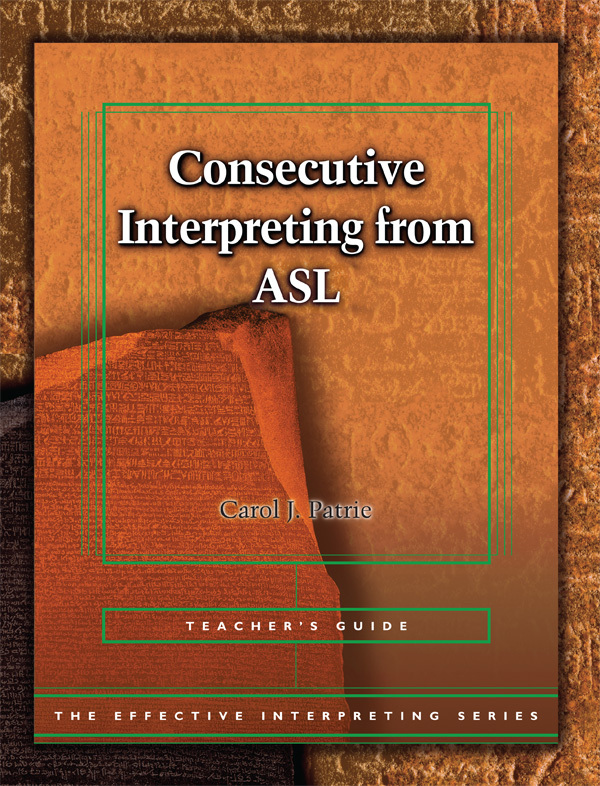 These ground-breaking, and extensively researched materials, will help your students build the skills necessary for consecutive interpreting! Effective interpreting requires a variety of skils. 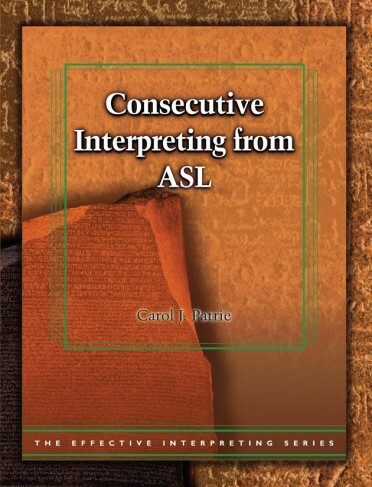 Consecutive Interpreting from ASL has carefully constructed exercises for your students. Using ASL source materials, with the study questions, and the "5-step follow-up" helps to build or improve their skills. Teaching students to focus on learning the skills step-by-step, from the less complicated before moving on to the more complex, is the most successful path to excellence in simultaneous interpreting, and all volumes of the Effective Interpreting Series are geared to strengthen students' foundational skills toward that goal. 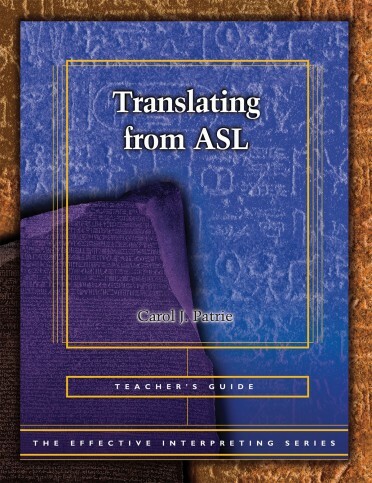 The Effective Interpreting Series is a multi-installment series offering five sets of source materials in English to use with any other language in a language pair, and five sets of course materials in American Sign Language (ASL). The series takes the complex skill of simultaneous interpreting and breaks it down into manageable components, allowing interpreters to increase the individual skills that lead to effective simultaneous interpreting. Carol J. Patrie, Ph.D. was instrumental in designing and implementing the Master of Arts in Interpretation program at Gallaudet University. An author of many National and International publications and a sought-after speaker and trainer, Patrie is one of the foremost professionals in the field of Interpretation and Education.